The many technological innovations on board the Greece based Azimut 74, including the effective use of space has set a new benchmark in style. 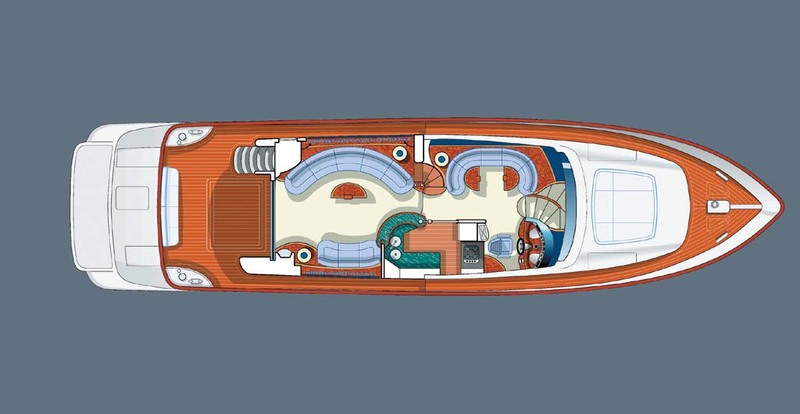 Notable design features in the aft zone, encourage contemporary flowing curves to blend in perfectly with the increased size of the interior. 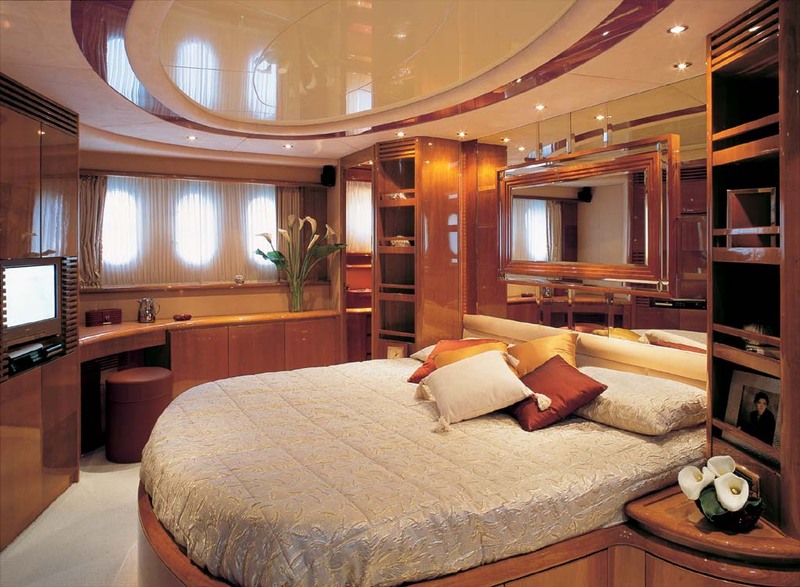 Whether its an exciting holiday or peaceful vacation, this yacht has it all. 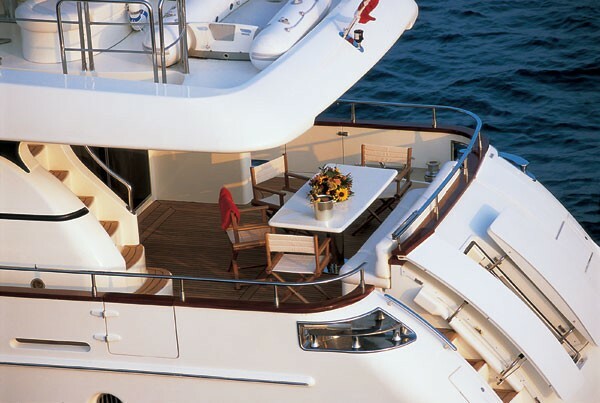 Outer deck spaces include an aft deck table where meals can be served and a sundeck, ideal for sunbathing, lounging and dining. 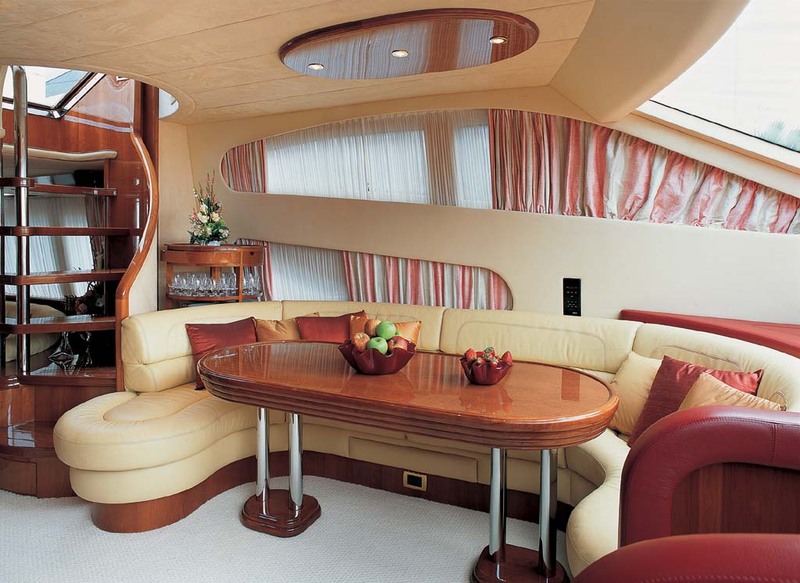 The interior areas of the yacht inspire luxury, opulence and comfort, including a dining area perfect for formal dinners. Other important modifications have been made to the split-level saloon, where the living area is now cosier with the two semicircular settees facing each other. 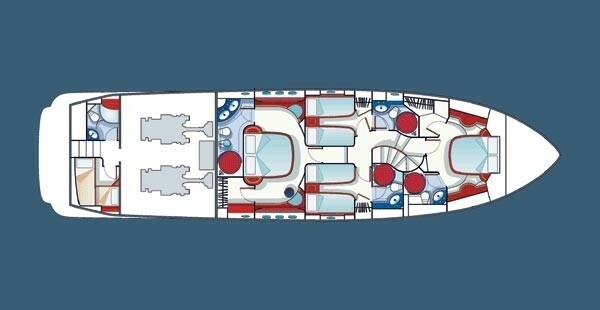 The underwater portion of the Azimut 74s hull has a gliding bottom, the vee-hull reaches an angle of 14° at the stern. 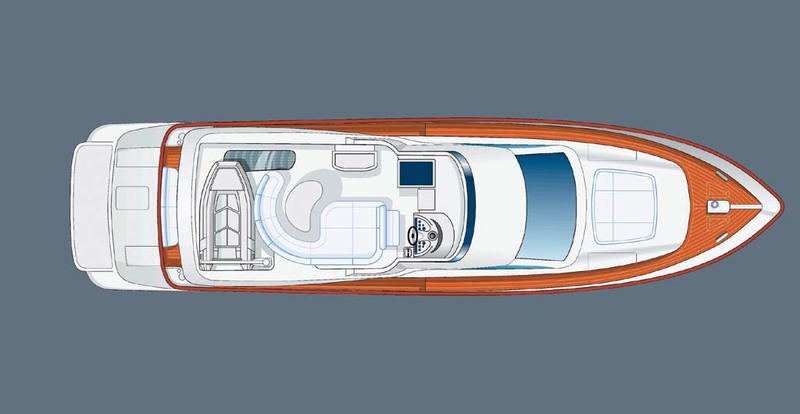 Driven by 4-blade propellers and powered by 2 x 1,300 HP MTUs, an extremely smooth wake at virtually all speeds is evidence of the success of the design. 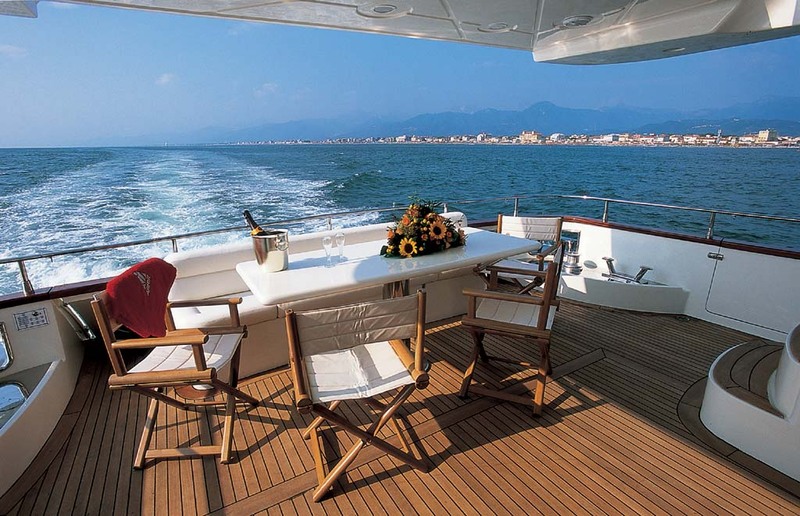 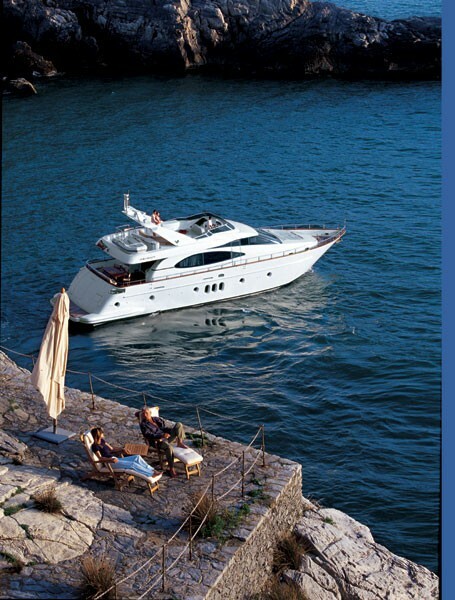 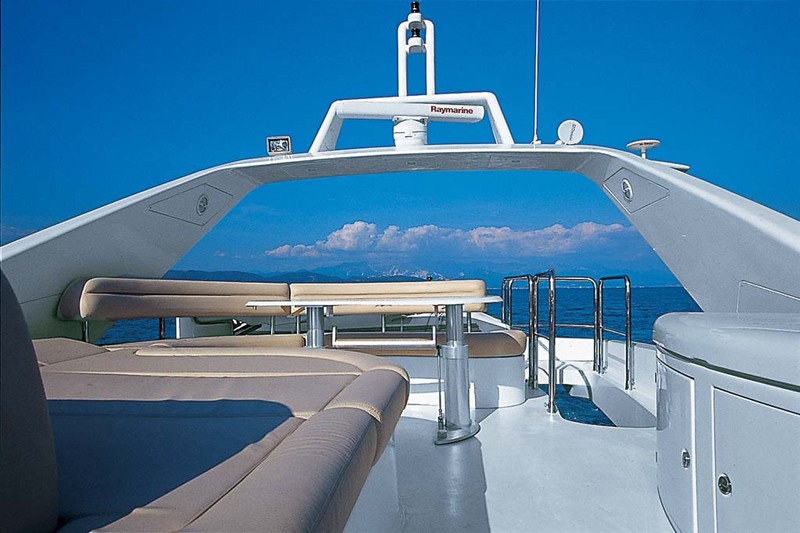 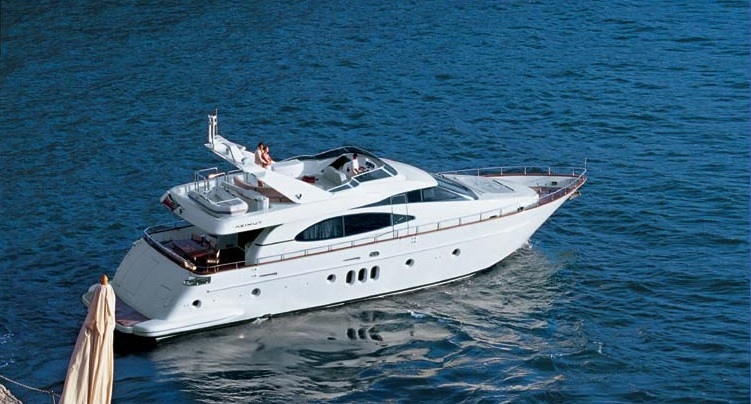 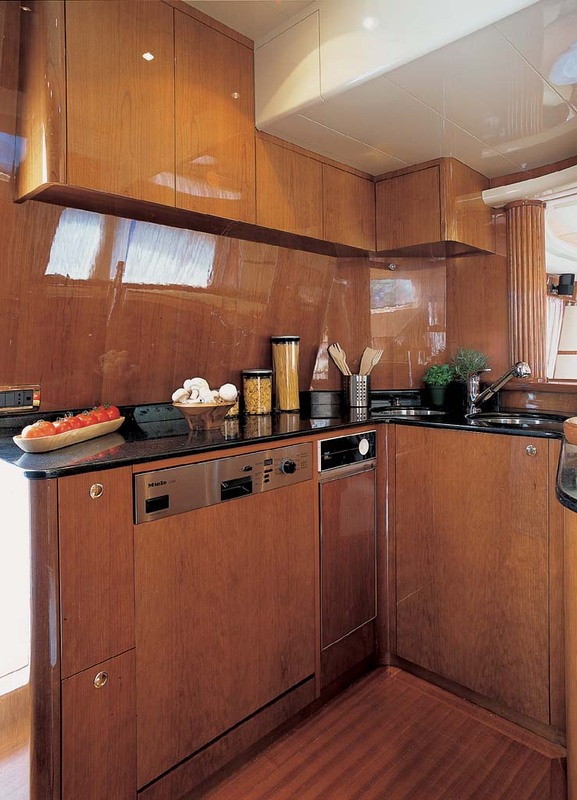 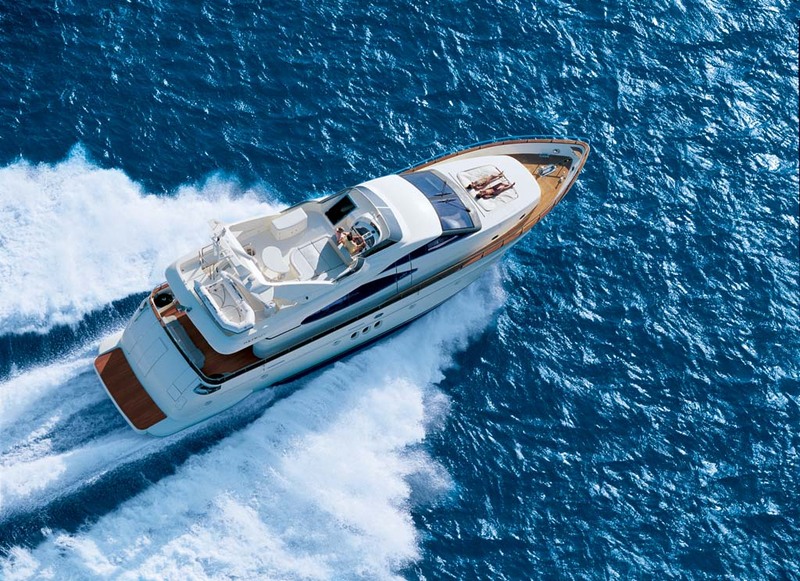 The Azimut 74 can accomodate up to 10 guests in 4 spacious cabins. 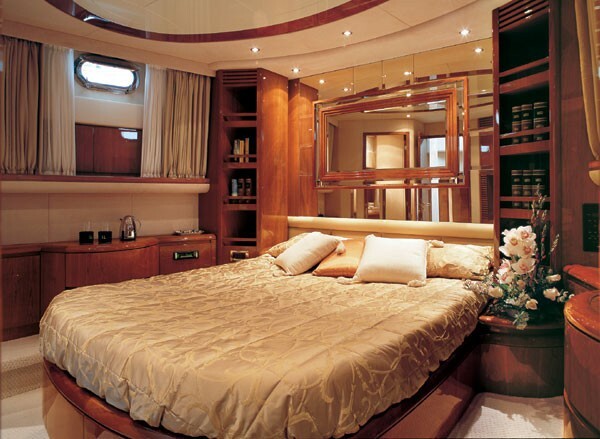 The master cabin, which is a large area in itself, has been laid out in exemplary style, with a central double bed, en suite bathroom with Spa Pool, dressing room and beauty area. Elegantly appointed and characterised by the arrangement of three windows on either side, a light airy feel, hard to come by on other yachts is ensured. 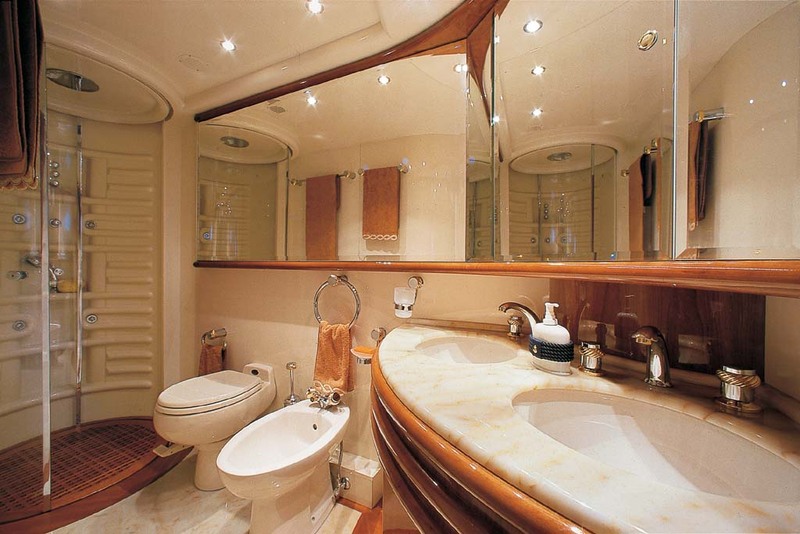 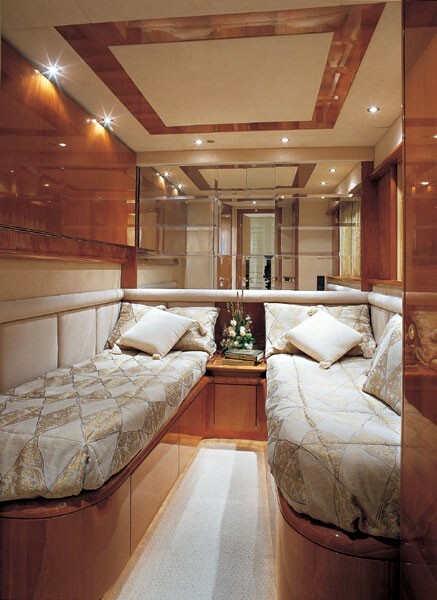 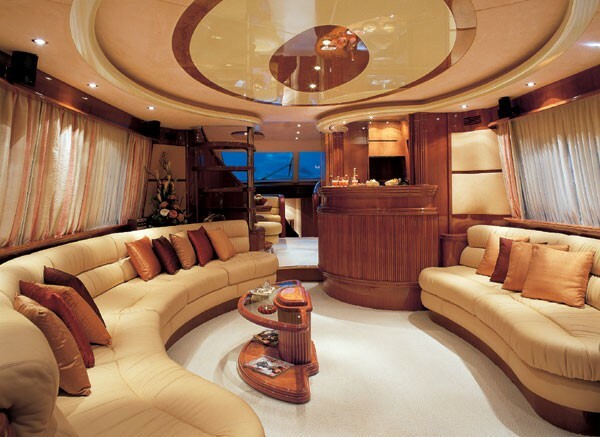 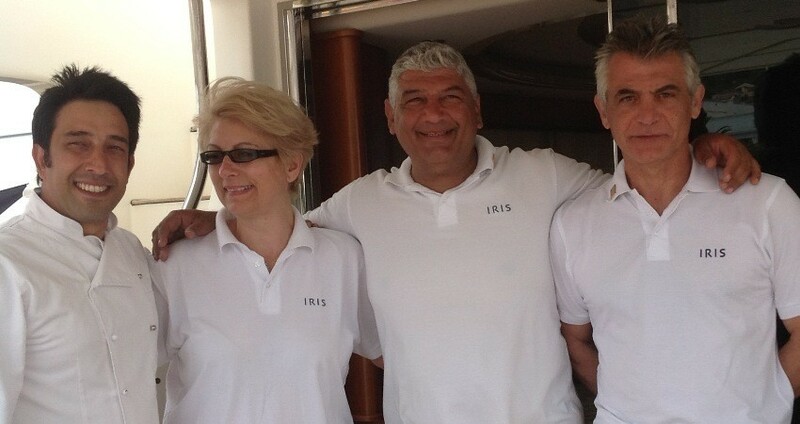 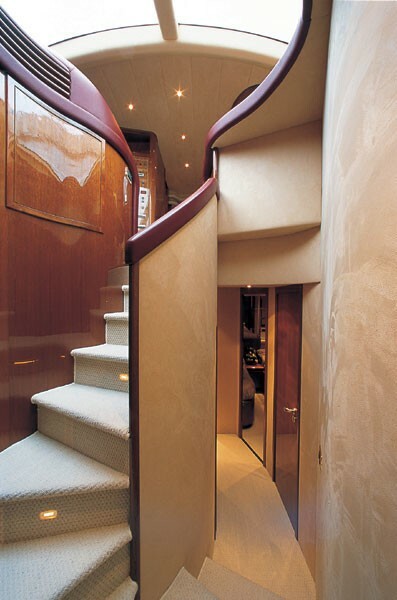 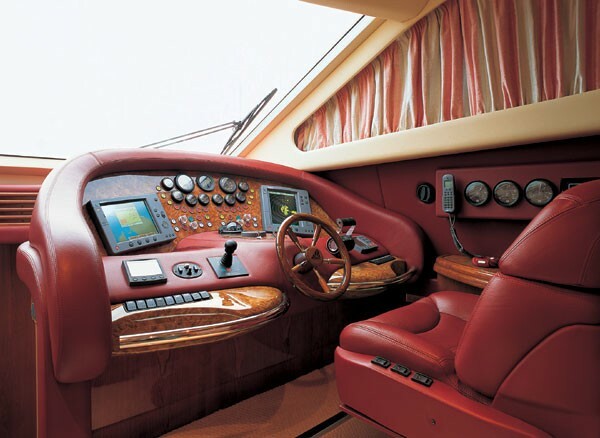 The equally impressive VIP cabin is situated at the bow of the yacht. This stateroom also has its own en suite bathroom with a separate shower recess, wardrobe/hanging space and central double bed. 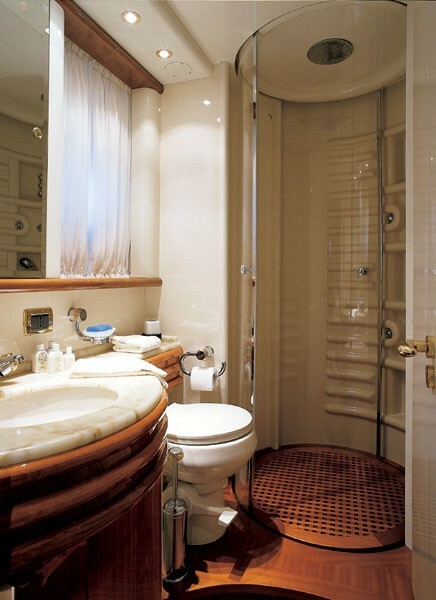 The 2 twin cabins are also equiped with private ensuites and each have a pullman berth. The crew quarters are seperate.